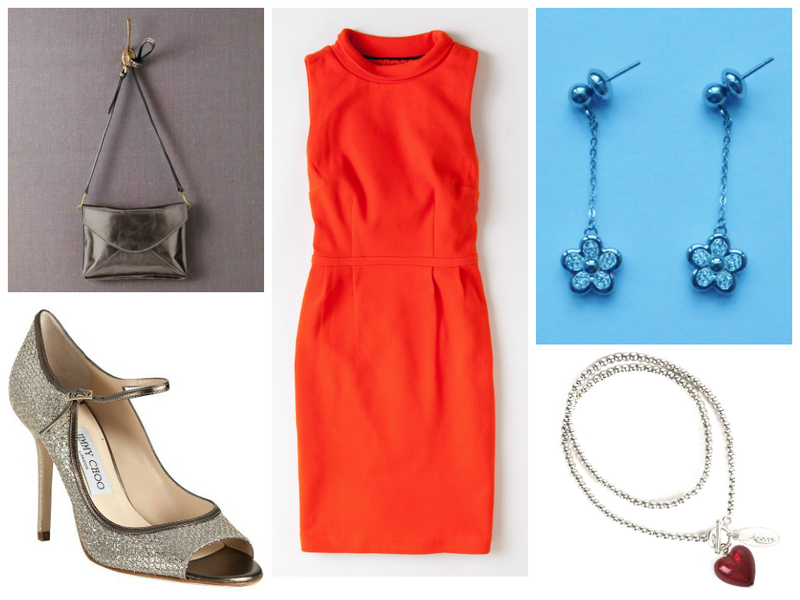 Outfit Post: Sixties Dress and Glitter Jimmy Choos. Last night I went to a brilliant party to celebrate my friends’ 15th wedding anniversary. There was a hog roast and an amazing young guitarist/singer. A night of laughter and dancing with friends and I enjoyed every moment. A perfect midsummers evening. My ruby red murano bracelet from Adorn is redder than the dress but the orange within the glass shines through when next to it. Joanne’s designs are beautiful so do take a look. These beautiful crystal earring are from Italian jewellery brand Luca Barra. My Jimmy Choos are more than five years old. I still have a Cinderella moment when I put them on. The champagne glitter works with so many colours and they sparkle beautifully. I have this sixties style dress in a navy and white stripe too. I wore it last month for my sister-in-law’s 40th birthday. I love the neckline and the ponte jersey means it’s incredibly comfortable and perfect for dancing. Sensational! You look stunning in that orange dress. Perfection. You look stunning. Such a great colour on you and I adore the accessories! You look so lovely – your best accessory is your beautiful smile. Looking stunning hun. Loving the shoes, perfect Jimmy Choo's.